About The Pantry Gidea Park Find out abit more about us and our food. 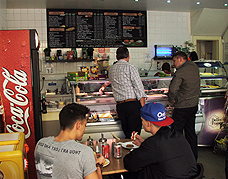 The Pantry has been established in Gidea Park, Romford since 2005. 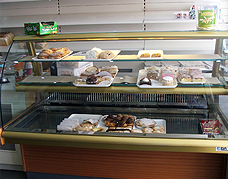 We offer a personal, friendly, reliable and professional service and cater for business buffets and private functions. We pride ourselves in using fresh ingredients of the highest quality carefully prepared and cooked in our kitchens. For fine dining requirements we cater for business meetings, training courses, executive lunches and specialist catering occasions. If you live in or near to Romford, Gidea Park, Hornchurch, Rise Park, Elm Park, Emerson Park, Harold Hill, Harold Wood, Chadwell Heath, Rush Green, Havering Atte Bower, Upminster, Brentwood, Hutton, Ingatestone, Billericay, Shenfield, Stapleford Abbotts, Havering, Essex, Thurrock, Rainham or Orsett then we look forward to being of service to you!